Email: mikhail@barynya.com / phone: (201) 981-2497. 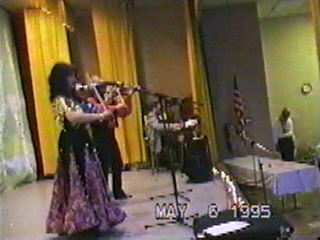 "By the Long Road (Dorogoi Dlinnoyu)"
"NJ VIOLIN DUO" is available for hire in New Jersey, NYC, New York, CT.
"DANCHENKO DUO" - Gypsy Violin Duo Nina And Isaac Danchenko are internationally famous entertainers from Russia who made New York City their home. They possess one of the most fantastic skills of duo violin playing and singing. Their specialties are Roma (Gypsy), Russian, Hungarian, Romanian, Klezmer and American Music. 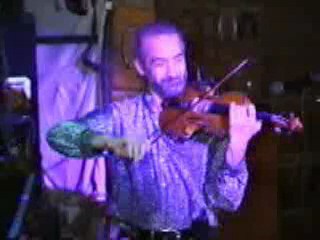 ALEXANDRE is a violin virtuoso from New York who is available for hire in New York, New Jersey, Connecticut, Pennsylvania and other states. He plays classic, international, pop, traditional Jewish, Russian, Arabic, Ukrainian and Belorussian music. Alexandre was born in Minsk, capital of Belarus. He performs solo, with pop orchestras, Wedding Music Bands, folk ensembles, and with a guitar player. VALERIY is a violin player from New York. Valeriy is available for special events, parties, weddings, etc. He is is versatile in Classical, Jazz, Gypsy, Ukrainian, Romanian and Russian music. SERGEY RYABTSEV (sometimes spelled as Sergej Rjabcev, Sergey Rjabtzev or Serge Riabtsev) is a New York based violin virtuoso. Sergey was born and raised in Russia. Currently he is a member of famous Gypsy punk group Gogol Bordello. Despite his rock star status Sergey Ryabtsev is also available for hire when he is not on the tour with the band. 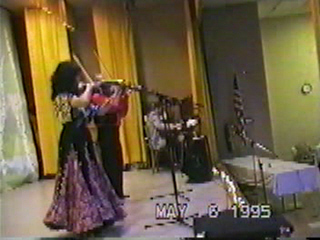 EDUARD - violinist from New York performs solo, and with other groups and soloists. He is available for hire for all kind of events in New York, New Jersey, Connecticut and Pennsylvania within 60 miles radius around New York City. Own transportation and sound system are available. NYC female electric violin player from New York City available for bar mitzvahs, clubs, private parties, resorts, restaurants, and weddings in New York City, New Jersey, New York, Connecticut, Pennsylvania, and other states. The musician can play solo, with cello player, female string quartet, club DJ or live wedding band. VIOLINISTS WANTED!!! Barynya entertainment agency is providing musicians, dancers, singers, DJs, comedians, and bands for corporate entertainment and private events since 1991 (online since 1998). Owner Mikhail Smirnov. Timofeyev and Kolpakov - 7-string guitar duo specializes in the traditional music, songs and dances of the Russian and Roma (Gypsy) tradition. 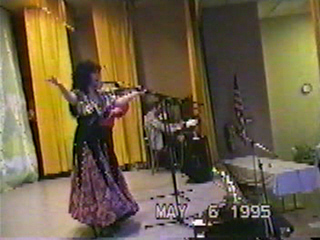 They perform ancient Gypsy melodies, heartfelt lyrical romansy, accompanied by the Russian Gypsy 7-string guitar. New York Gypsy Festival of dance and music presented by Zemfira. Vadim Kolpakov - seven-string guitar player, singer and dancer. New York Gypsy Trio: guitar, violin, singer/dancer. Trio is available for hire in New York City, Brooklyn, Queens, Staten Island, The Bronx, New Jersey, NY, CT and PA.
Russian Gypsy Guitar Violin Duo from New York - singer and guitarist Sergei Pobedinski and virtuoso violinist Valeriy Zhmud. Pirozhka - Roma (Gypsy) fortune teller from New York City. 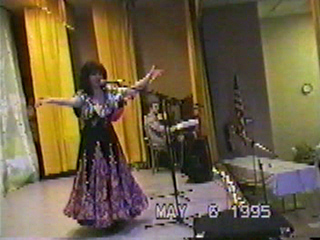 Gypsy Spirit - song, dance, and music group from Brooklyn, New York.